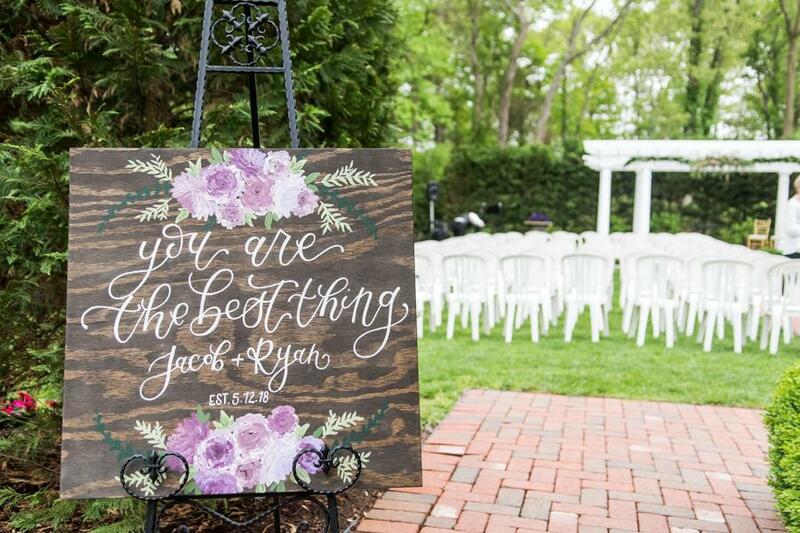 Ryan and Jake’s elegant wedding was the perfect combination of their love and what unites them as one! 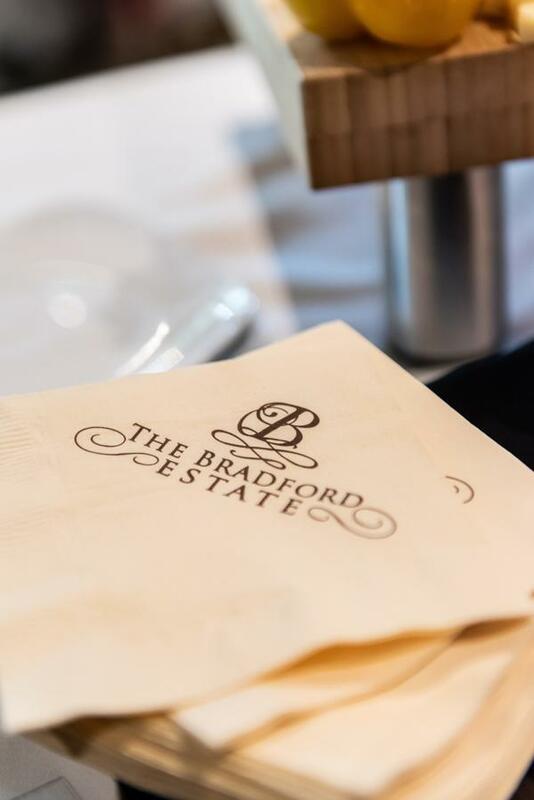 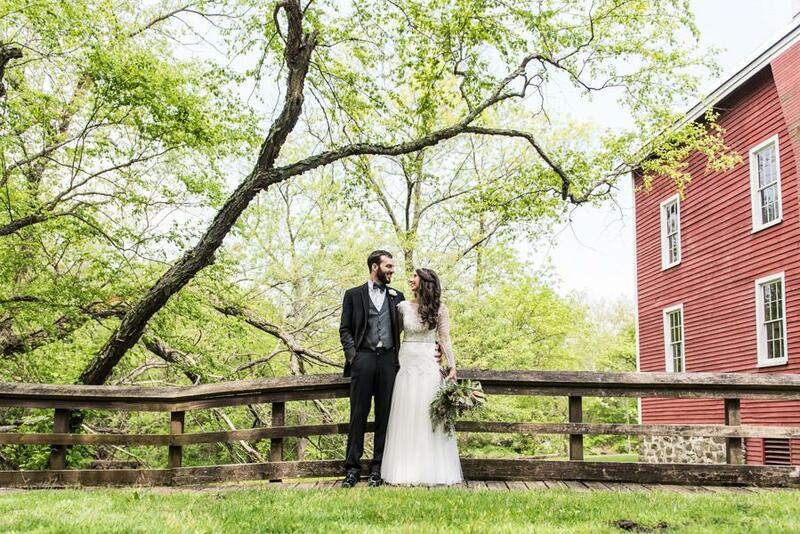 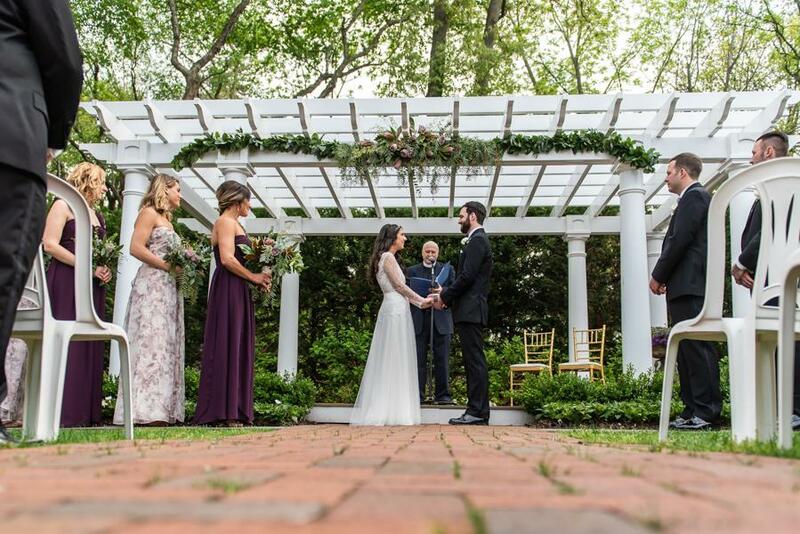 The Bradford Estate befittingly set the mood for their rustic outdoor ceremony and indoor reception on one beautiful spring day. 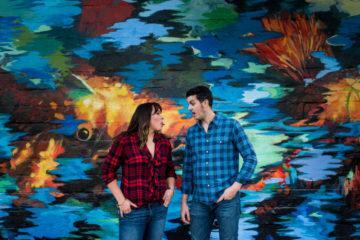 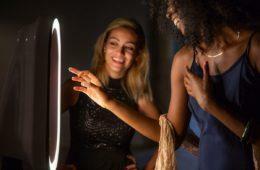 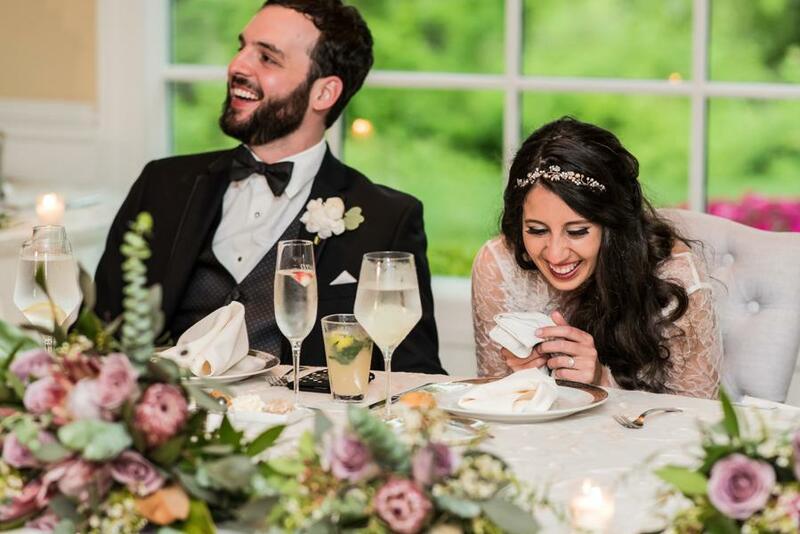 These two love-birds first met at Bonnaroo, which inspired their musical table decor and the whimsical feel of the day. 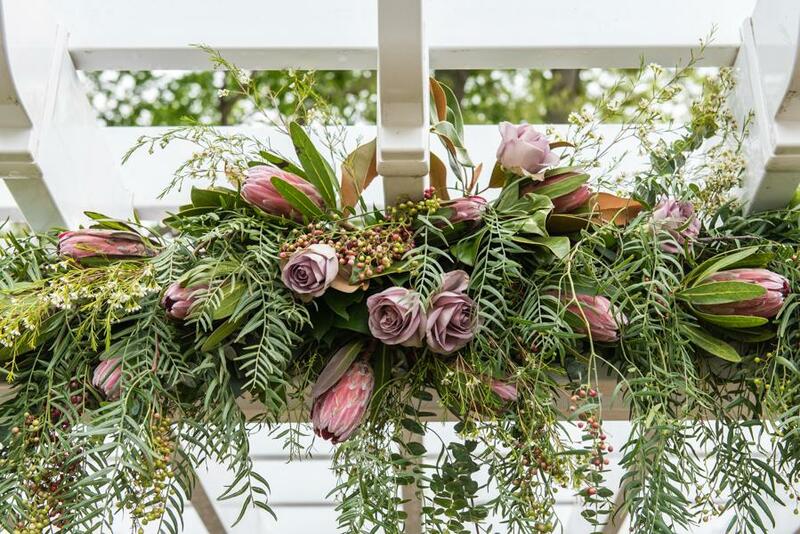 The bride’s connection and love for South Africa was expressed in the floral arrrangements featuring gorgeous Protea’s to match the theme. 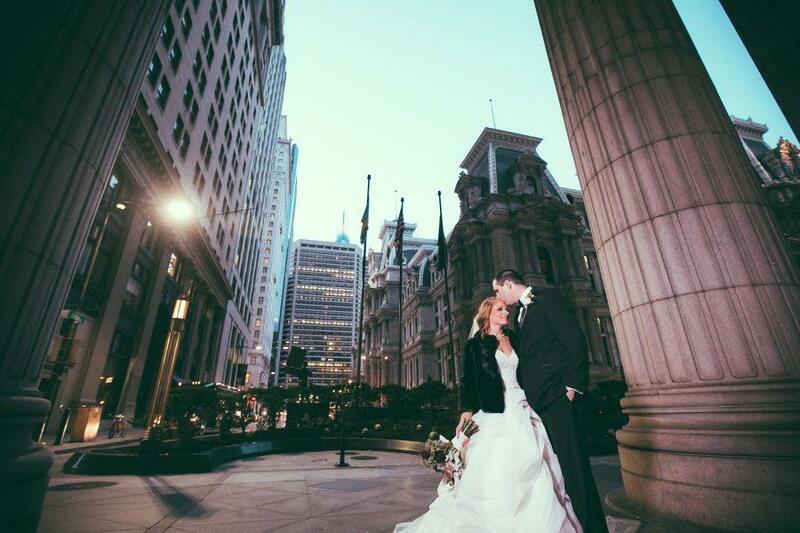 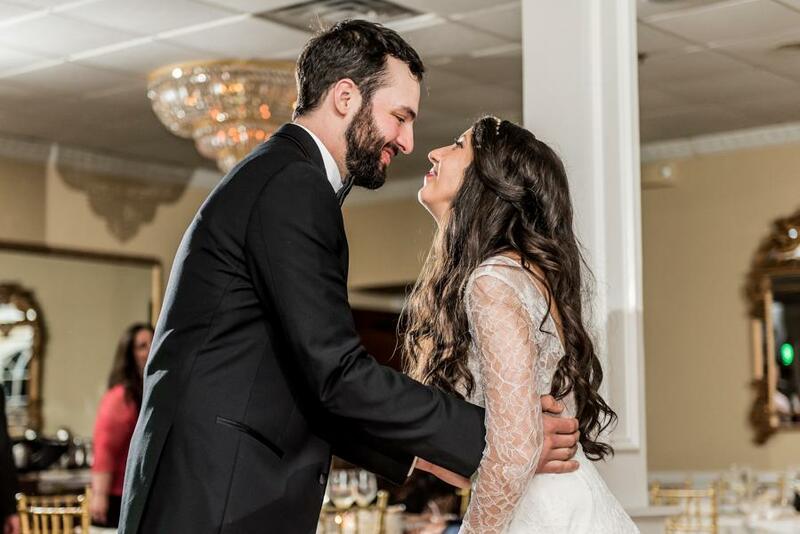 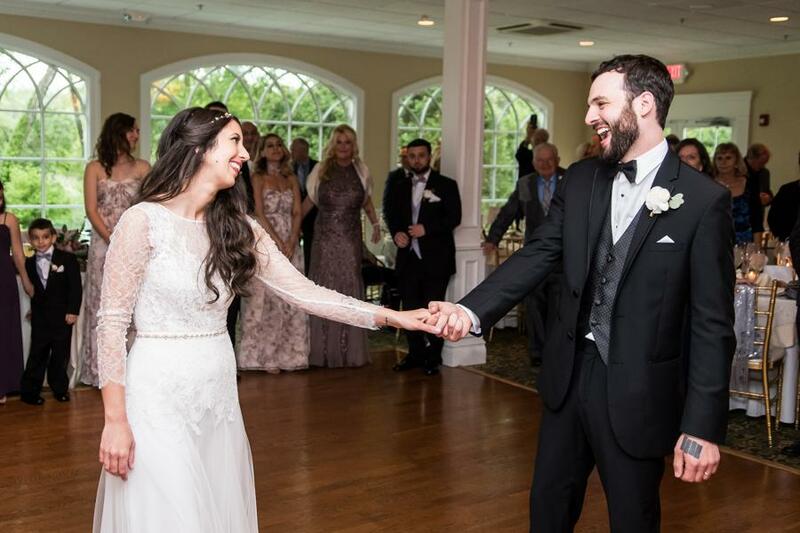 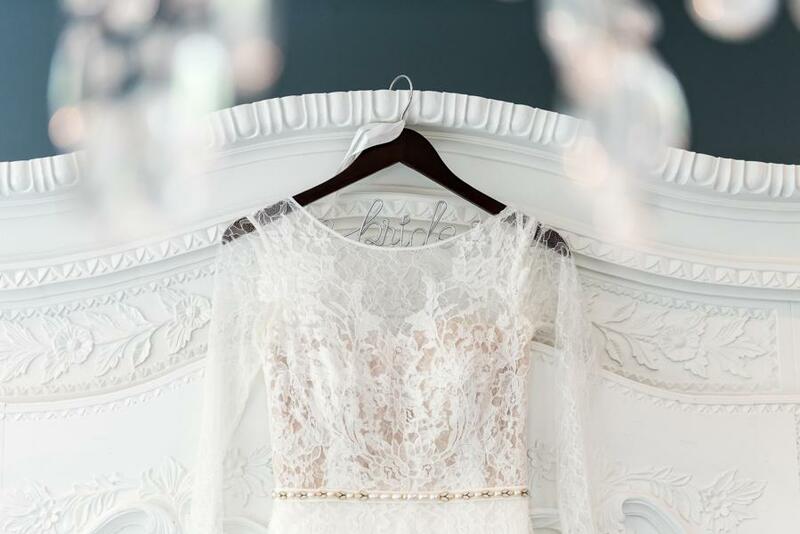 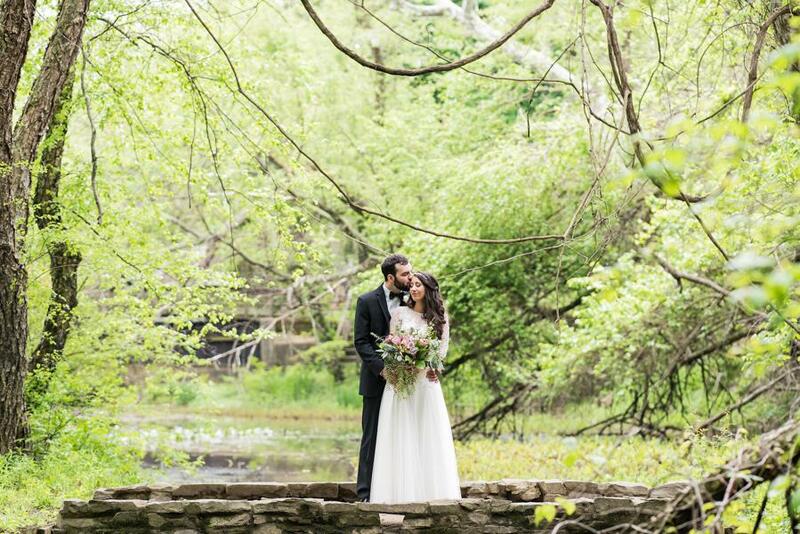 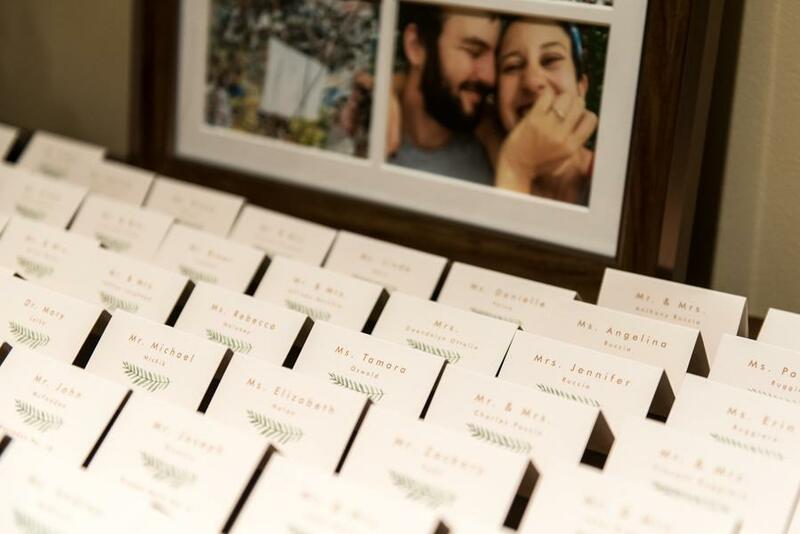 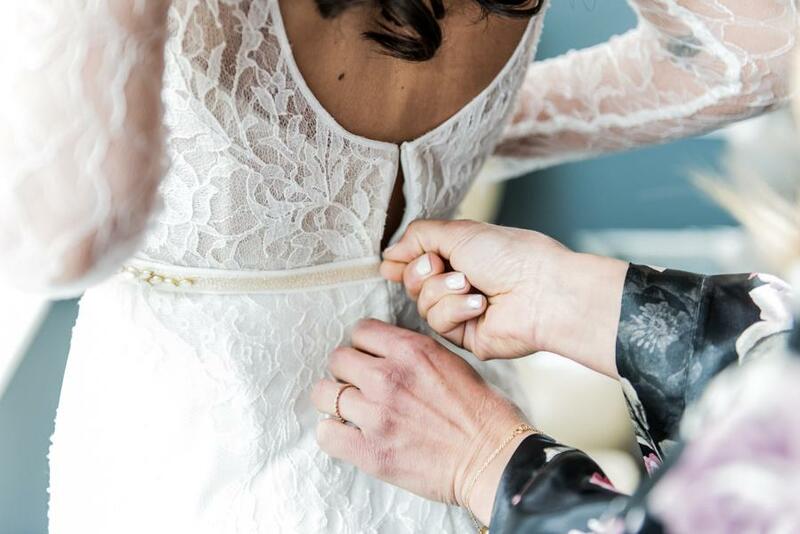 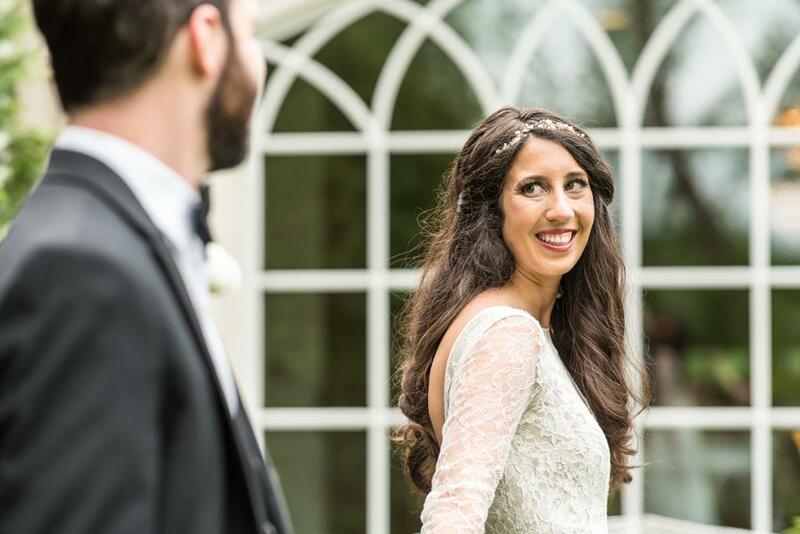 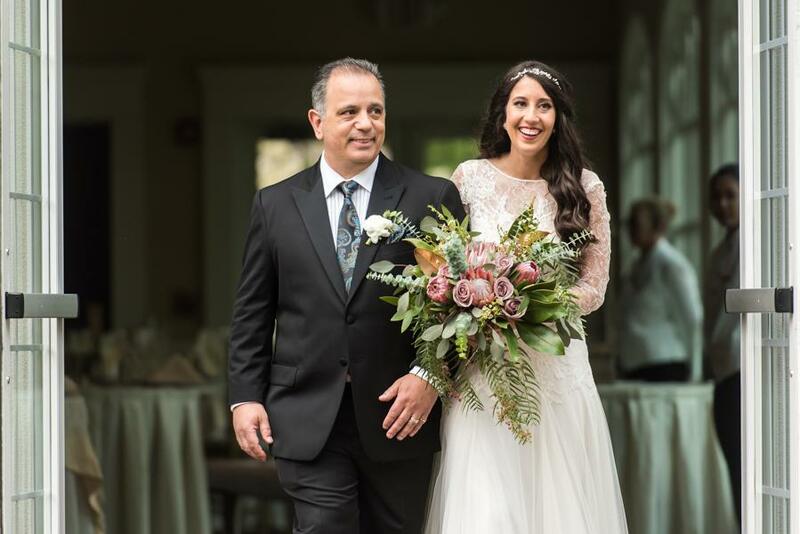 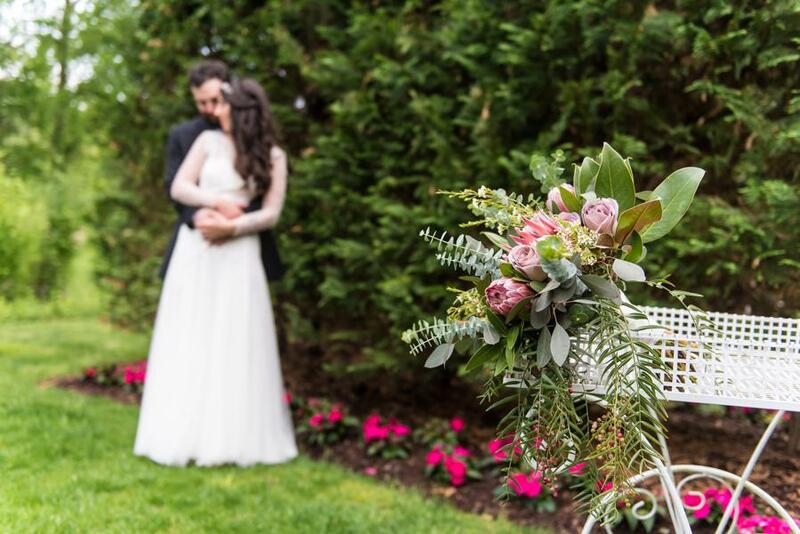 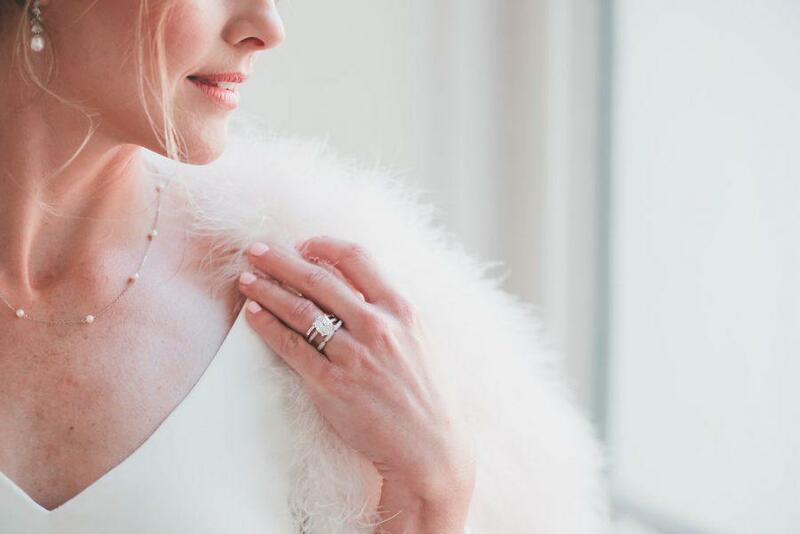 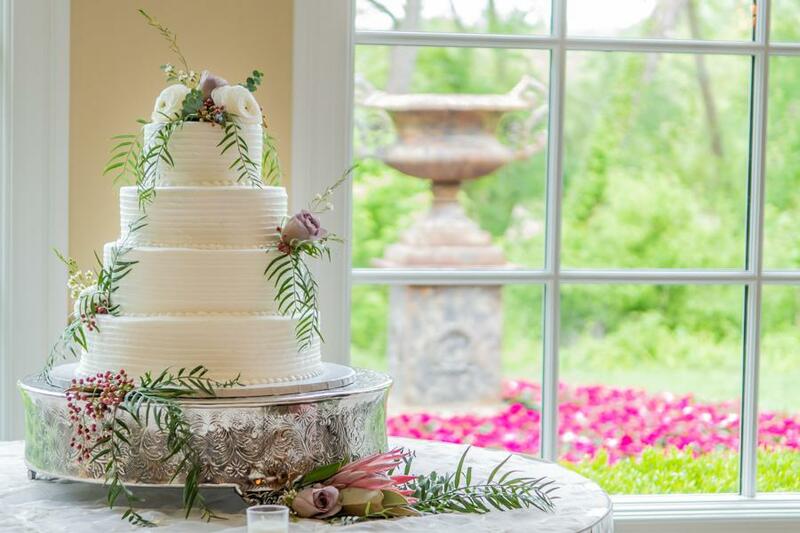 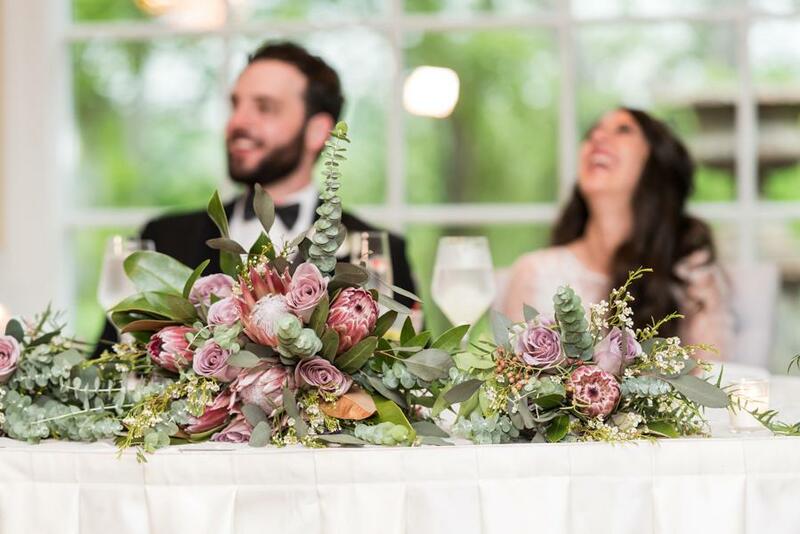 The photographs captured by Benjamin Deibert Photography are simply timeless and show every beloved moment that made this day special, so get ready to swoon over every detail below! 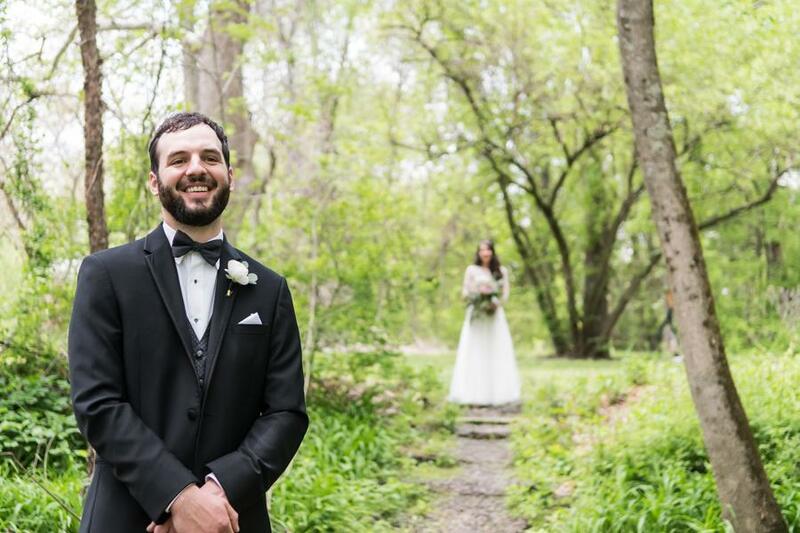 From the Photographer, Benjamin Deibert: “Jake and Ryan define our fave type of couple to work with: they are laid back, bring a lot of personal details into the day, and are very, very much in love. 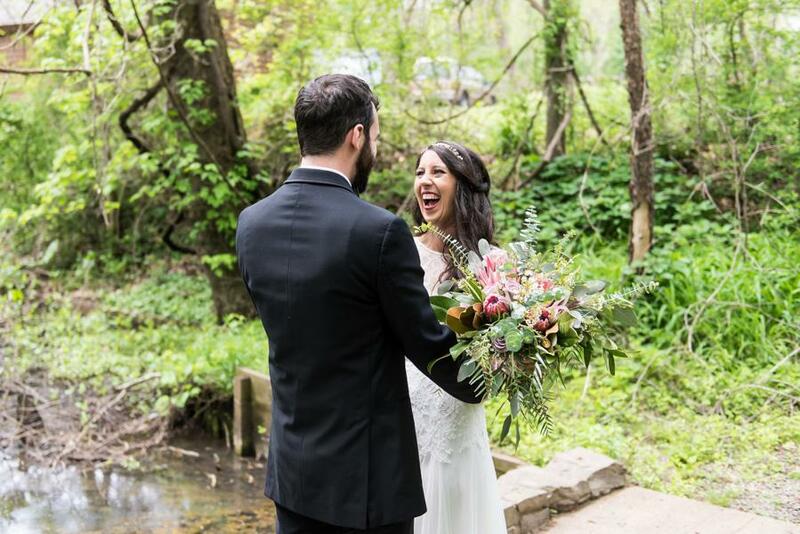 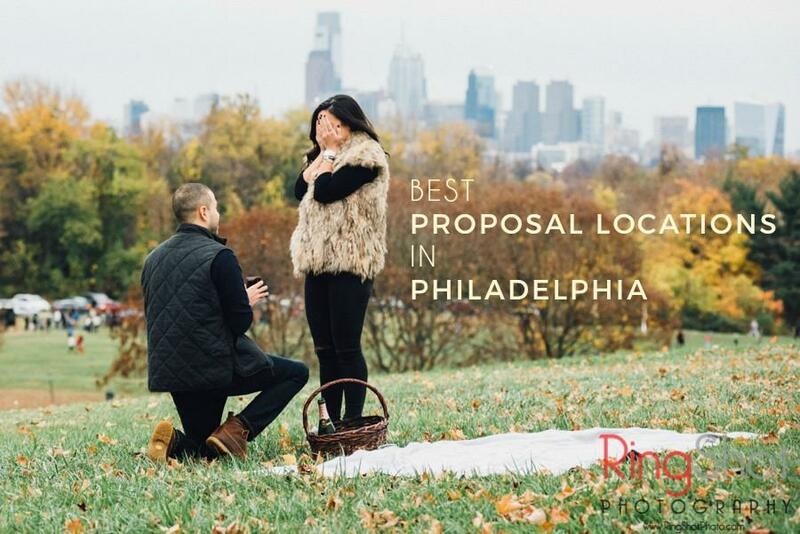 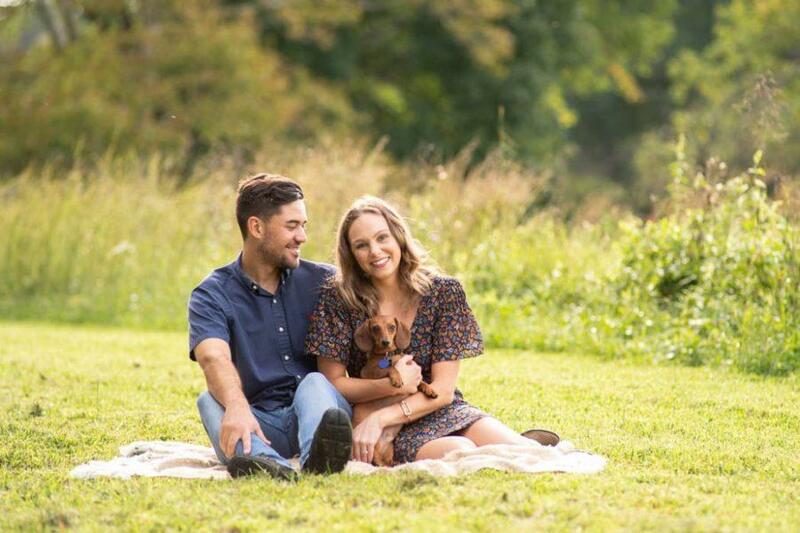 Throughout the planning process, we not only swapped wedding stories but gave each other travel tips on Vietnam and South Africa (Ryan served in the peace corps there). 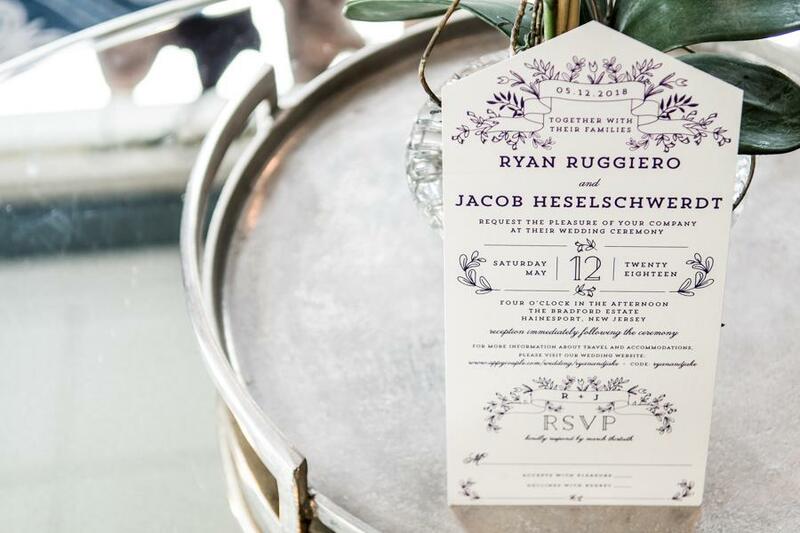 Ryan and Jake met at a musical festival, and he left a note on her car with his phone number. 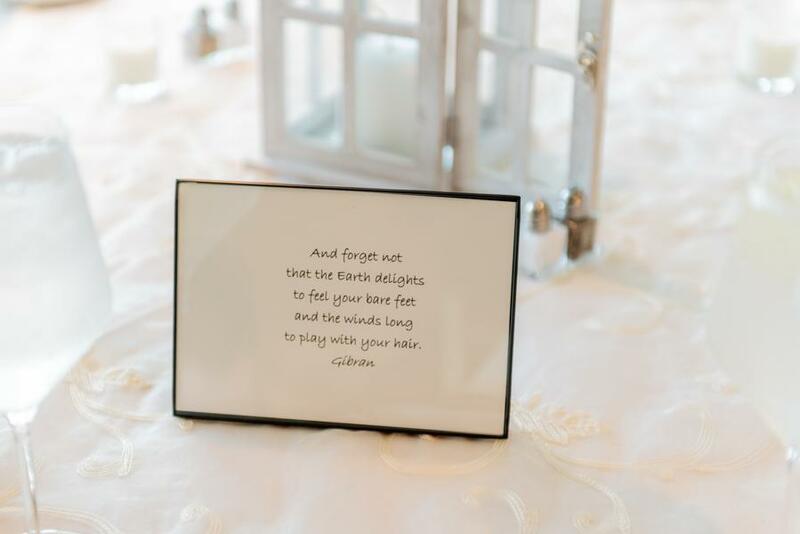 She of course not only called him but saved that note and displayed it in a frame at the wedding. 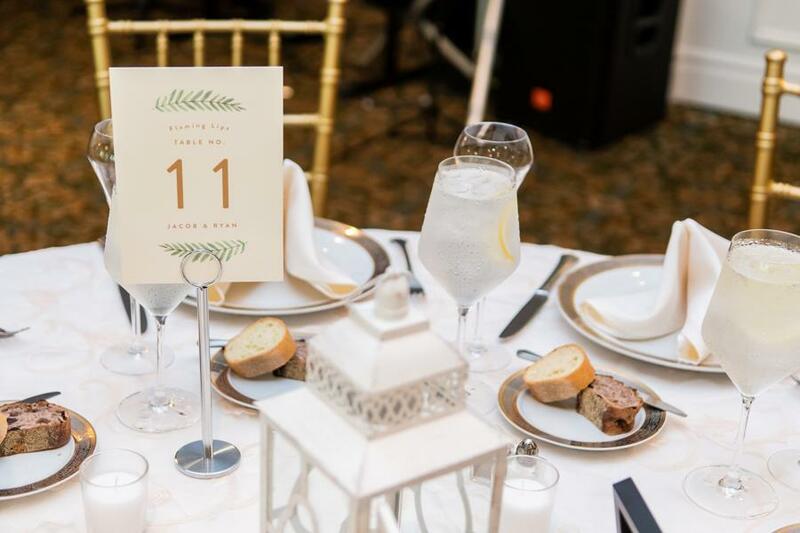 To represent their love of music, each table number had a designated favorite artist or band name. 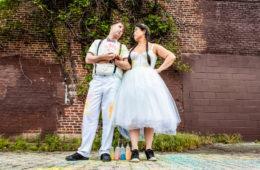 Their wedding was whimsical. 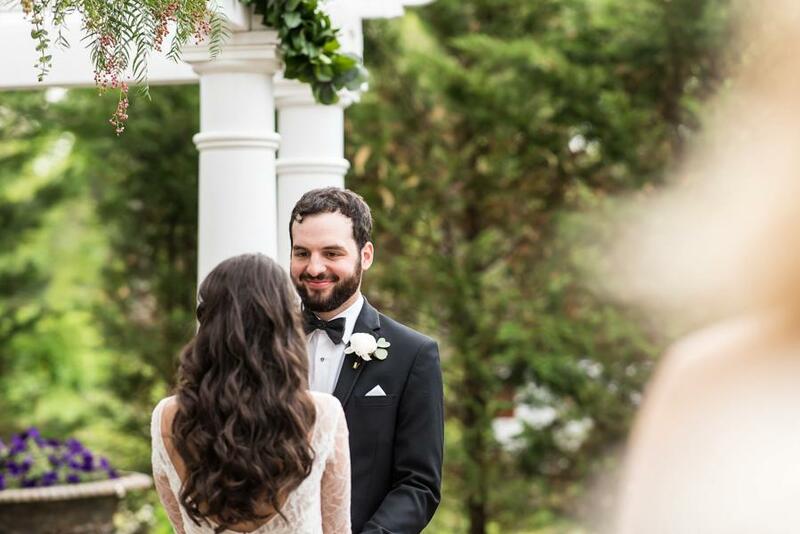 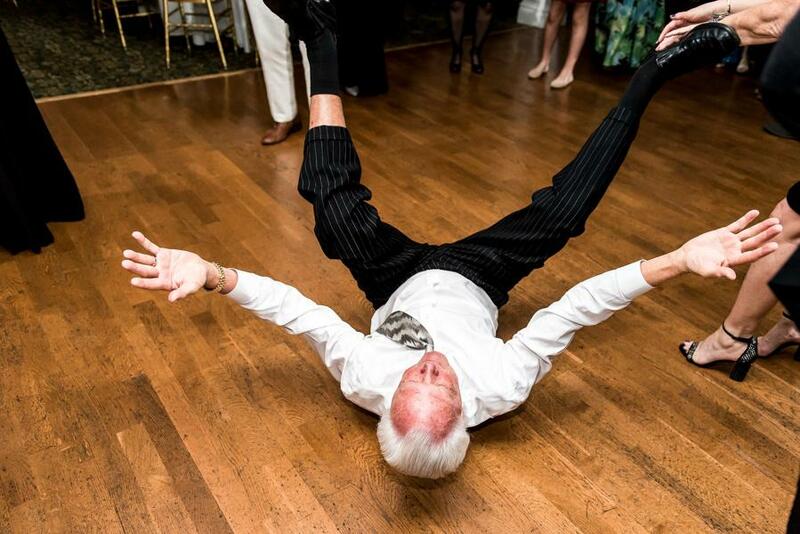 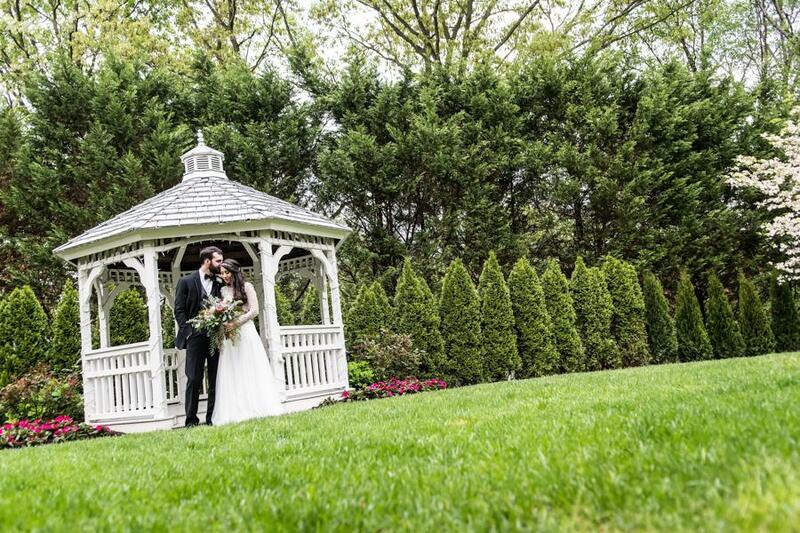 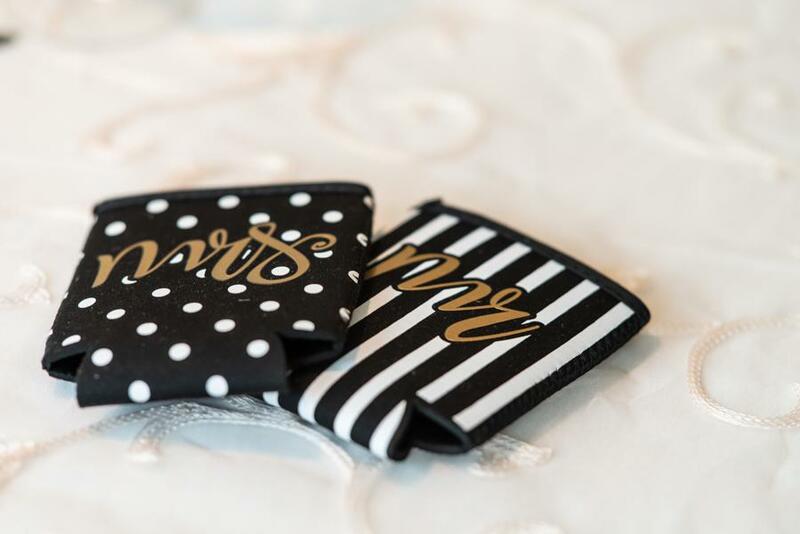 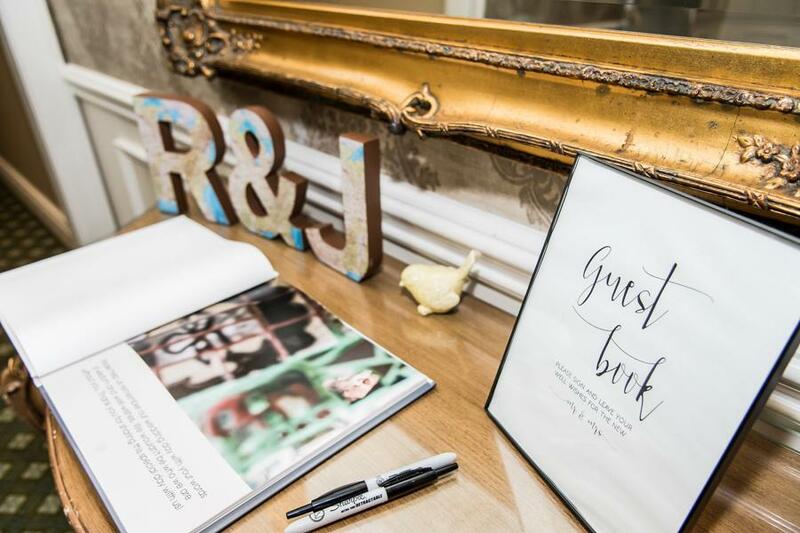 Ryan thought of every last detail and executed a beautiful wedding. 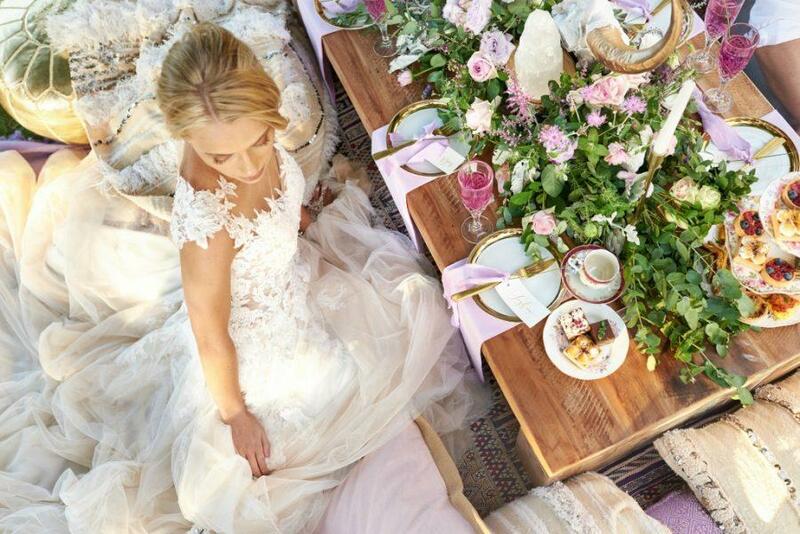 Her boho-chic dress and long flowing hair were exactly her styles, fitting with lovely pearl details on her headpiece and belt. 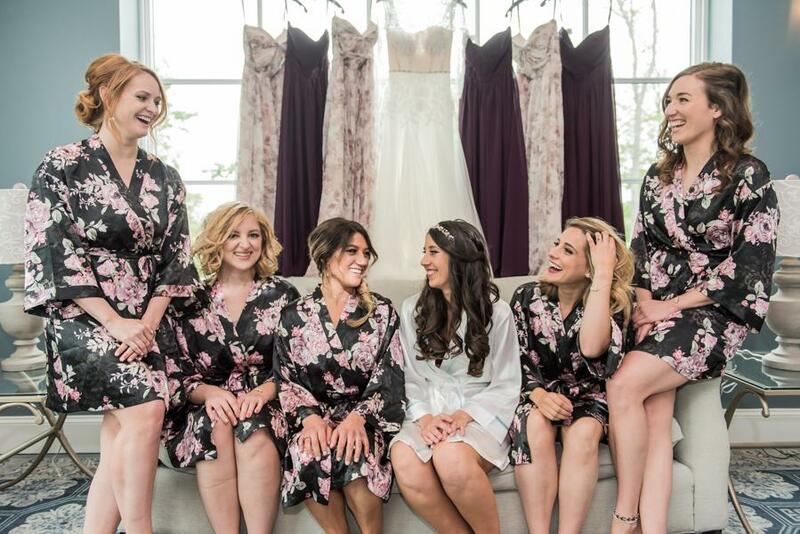 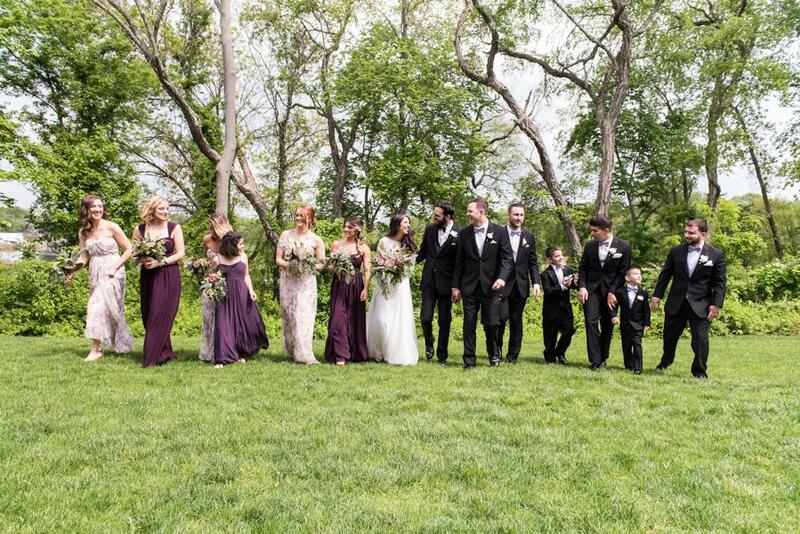 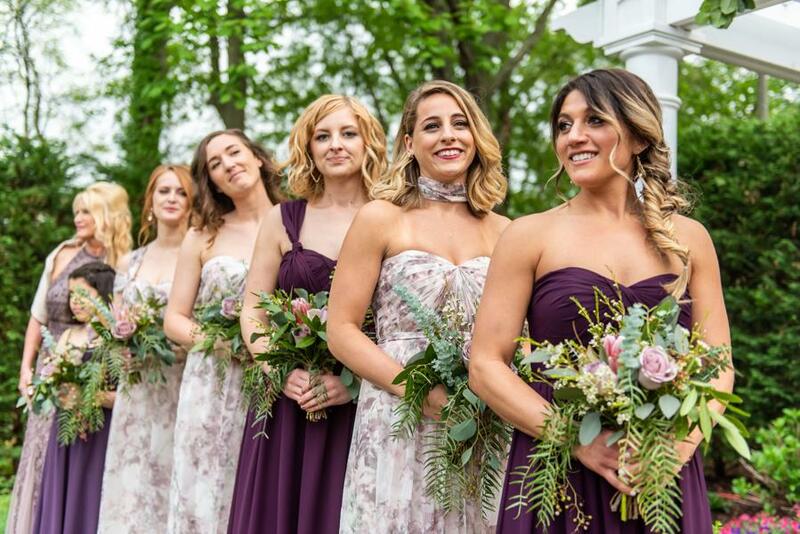 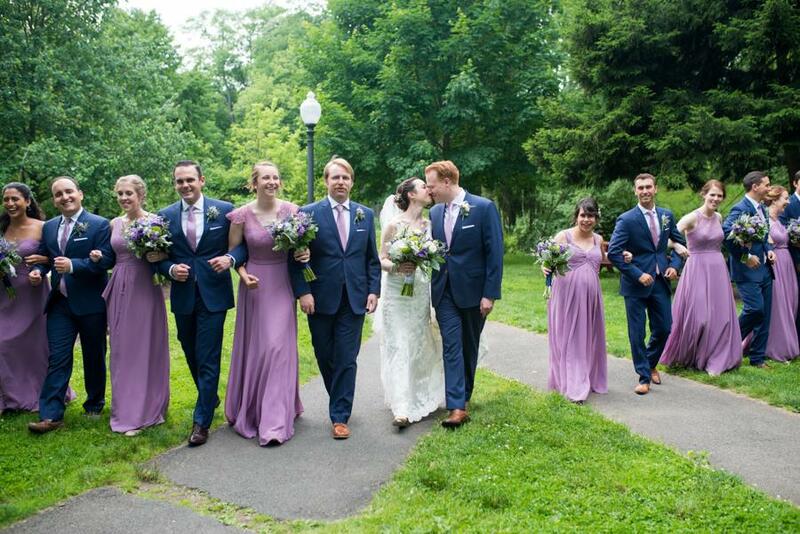 Her bridesmaids wore alternating solid and floral dresses with lavenders as the palette. 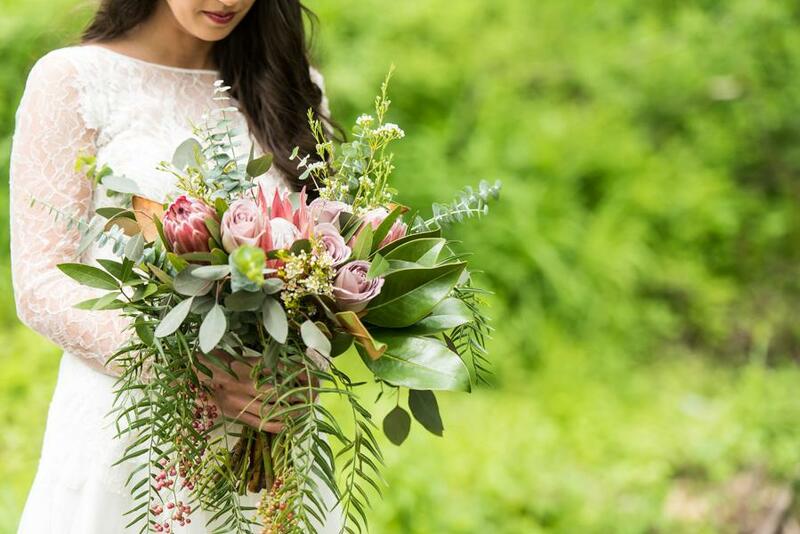 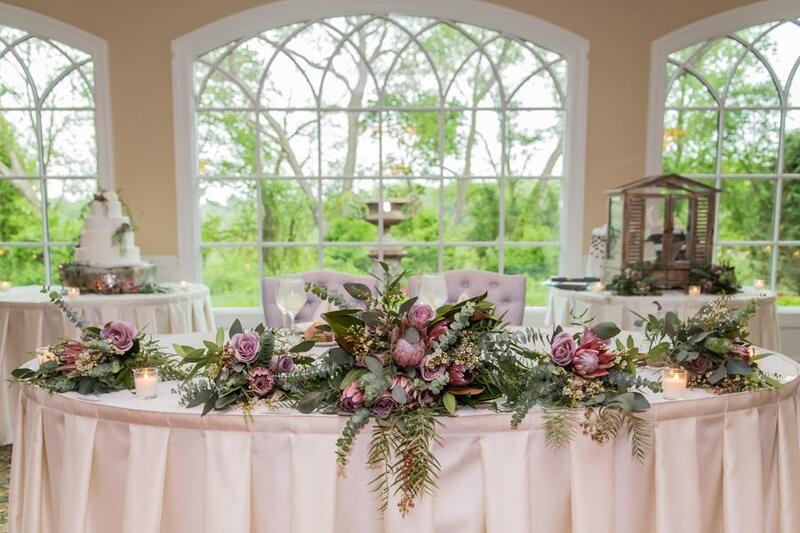 To honor her time in South Africa as a Peace Corps member, Ryan had Fabufloras incorporate Protea into her bouquet, the national floral of the country. 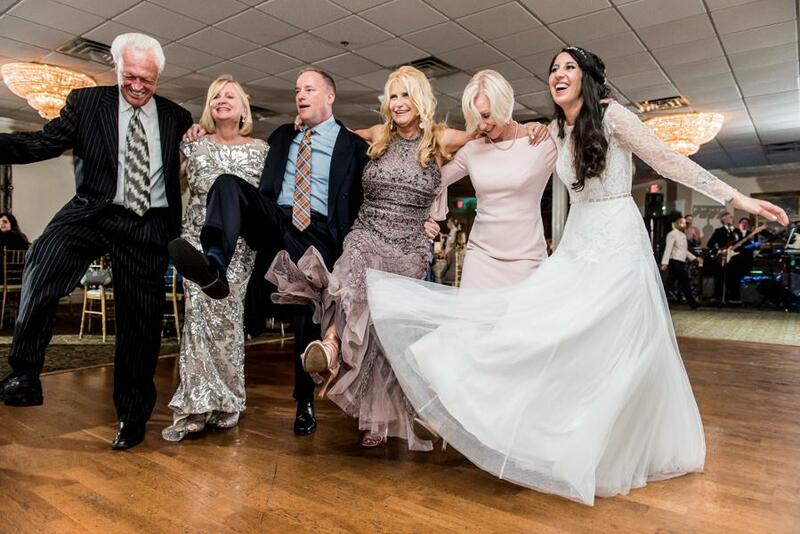 She also ended the night having the band play Toto’s ‘Africa,’ along with performing a ‘Zulu’ dance as well.